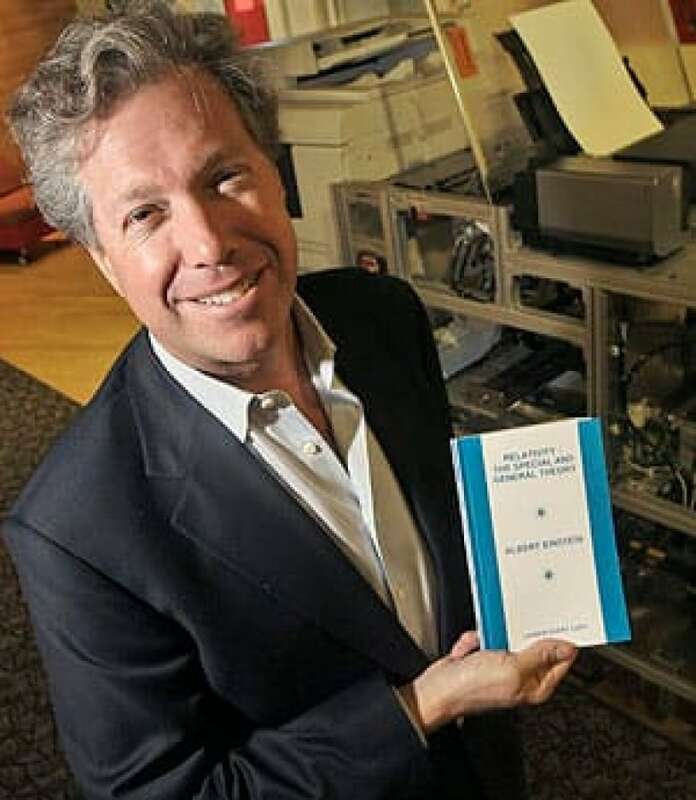 Self-publishing and recreating out-of-print books has been made easier since the debut of the Espresso Book Machine by On Demand Books, even turning some local works into bestsellers. Dickens wrote A Dangerous Gift with her son Titus, a memoir of their life dealing with his bipolar disorder. She completed the novel after he took his own life at the age of 25 in 2006. Dickens' book costs $10.38 US to print and retails for $16 US. Bill Leggett, a bookseller who co-manages the machine, said about a dozen copies are sold a month. "That's better than a lot of authors who have major publishers," he said. 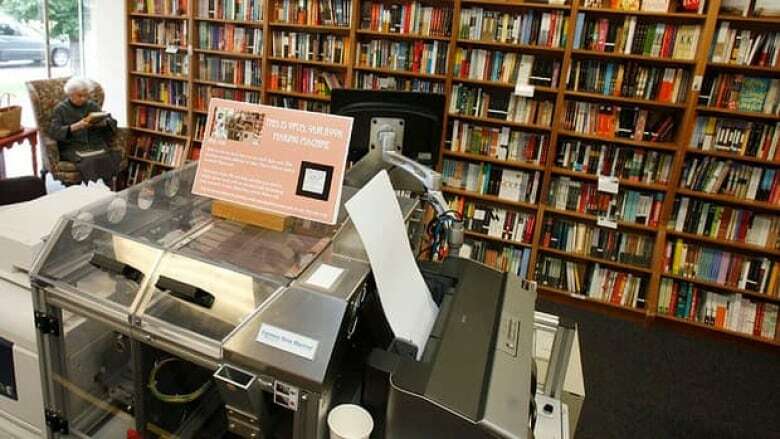 Politics and Prose has produced almost 5,000 paperback books — some in as little as five minutes — since receiving the book machine nicknamed "Opus" last November. Leggett said about 90 per cent of the books printed on the machine are self-published works by local authors. Alfred Morgan Jr. was able to get a copy of his father's out-of-print 1923 aviation guide, How to Build a 20-foot Bi-Plane Glider, printed on the machine for $8 US. The volume was on Google Books. Customers at Politics and Prose have also printed rare editions, or "editions drifted out of print," by Henry David Thoreau, Ralph Waldo Emerson and William Shakespeare, Leggett said. An out-of-print edition of Mark Twain's The Tragedy of Pudd'nhead Wilson with a simple cover and more than 400 pages costs about $12 US. Interest in producing paper books comes at a time of substantial growth in the electronic book industry. The Association of American Publishers reported 3.4 million ebooks were sold last year, up more than 300 percent from 2010. Still, revenue from electronic book sales was just a fraction of that for printed books, $21.5 million US compared to $335.9 million US, the association said. Debbi Wraga, the book machine coordinator, said about 85 per cent of their customers use it for independent book publishing, about 350 self-published titles so far. The others use it to produce rare books including foreign titles, or personalize books, such as Christmas carols with inscriptions and family photos. Wraga said the book machine accounted for nearly 4 per cent of the bookstore's 2011 revenue, and garnered extensive publicity well beyond what the store could afford to pay in advertising.